After the bankruptcy of the Royal Textile Finishing Industry in Eibergen in 2005, the factory complex needed a new purpose. 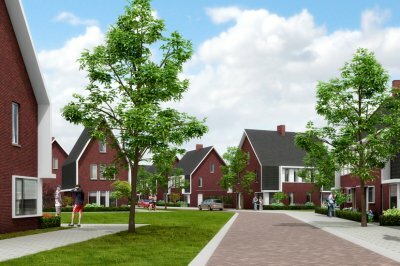 The 14-hectare area, including the site of the former Prakke factory and part of the De Maat walking park, will be developed in phases and eventually accommodate approximately 230 homes. 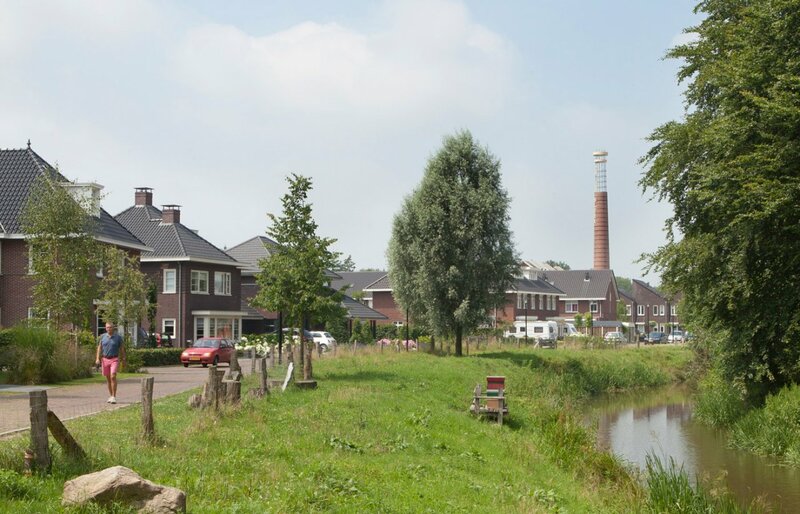 The redevelopment has two important starting points: restoring the relationship with the river Berkel and preserving the references to the industrial past. The scenic environment and the industrial past lead to a varied urban concept. Here, the location, height and spatial characteristics of the subareas determine the variation in residential quality. In order to accentuate these differences within an urban unity, they have been developed into an image quality plan for the various types of buildings. The relationship with the Berkel is restored by diverting a side branch of the river through the new residential area. The soil pollution present and the structural quality of the existing buildings, limit the possibilities for reuse. 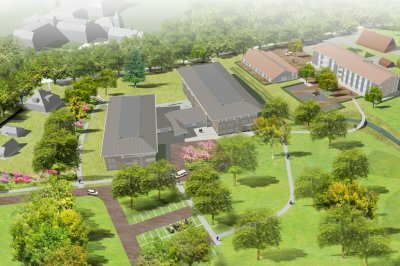 Nevertheless, it has been possible to make the industrial heritage visible by preserving the old chimney and a number of monumental buildings and giving them a new function. In addition, the past is legible in the structure, design and choice of materials, as included in the design for the new homes. The plan name Op de Bleek symbolises the connection with the former textile industry: at the time, the Royal Textile Finishing Industry was Eibergen's largest employer.